Tiled floors have been around for over 4000 years. No one can question the impact tile can bring to the appearance of any home or office. Not only is it attractive, but, it also is extremely durable and easy to keep clean. That being said the grout is another matter entirely! While durability is something of a minor concern … keeping it clean, sanitized, and looking it’s best is a major one! Grout absorbs liquids and stains like a sponge, GroutShields products cleans and seals To keep your tiled surfaces looking great! 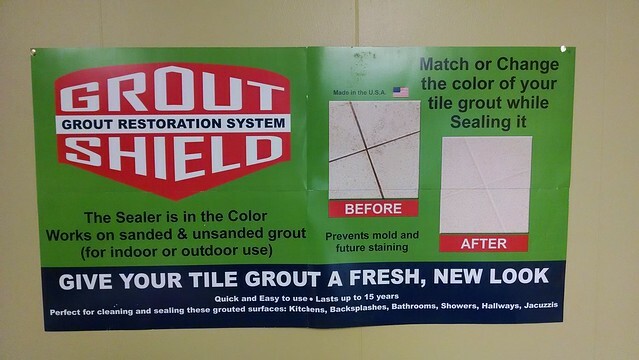 GroutShields has a wide variety of products formulated to clean your grout, seal it against future staining, and if you choose … stain it to any color you want! GroutShields is proud to offer to the public the very best and highest quality grout care products available in the world today! 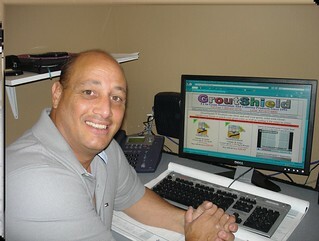 Our focus is on serving the communities grout care needs one customer at a time. We treat every client as a #1 priority and take great pride in our long history of customer service excellence. Give us a call with any questions you may have regarding the care and maintenance of your stone, tile, or grouted surfaces.